With US Open 2016 just around the corner, all the big brands has revealed official dresses and outfits of major tennis starts in both mens and women categories. Adidas usually release dresses with a 1 month before the tournament while Nike release official info with couple of weeks before the tournament. Below is the outfits which has been released officially so far. new Adidas Adizero fall collection has been around for a while now and its seems Ana Ivanovic will be wearing the following dress in the upcoming US open series and also the last grand slam US Open tennis championship. Nadal’s new Nike outfit for US open comes in two colours. Both will be revealed officially before the start of US Open but we already have leaked pictures. There are rumors that this will be the outfit for Sarena Williams for 2016 US Open. Its looks trashy and we can only hope that Sarena Williams will wear something different and better. 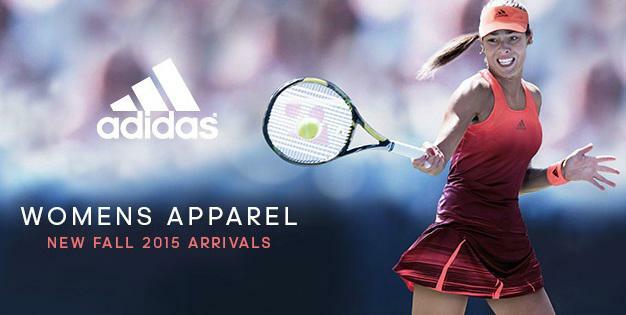 Simona Halep’s official dress for US Open has been revealed by Adidas and it comes in simple shirt/skirt. This is the all new outfit Jack Sock will be wearing in upcoming US Open 2016 tennis championship. Fila also revealed the all new dress for Jelena Jankovic in the video posted on companies social media channels. We will update this post with more leaks if we get any info about men’s us open dresses. So keep checking back for more updates. I didn’t get a chance to see JJ but I actually think that FILA dress is kind of elegant – it reminds me of Serena’s 2009 Wimbledon dress (different colors, of course). Did you not like the color for her?